When students returned from their Christmas vacation this year they found a new suite of computers on the fifth floor of the library. These were faster, smaller, quieter and generally better to use. Little did students realise that they were also part of a demonstration of a new method of distributing energy. These computers are powered using direct current (DC) electricity rather than alternating current (AC). The supply network is unique and will act as a showcase for future projects of this type. Researchers at the University are undertaking an in-depth study of energy consumption within the new network, with the aim of demonstrating that running a large network of devices on DC rather than AC is both more secure and more energy efficient. AC electric power from the grid is converted to DC and runs 50 specially adapted computers in the University Library. Students using the system have noticed that the new computers are more compact and much quieter than the previous systems. The immediate advantages of the new system are not only for the user but for the energy bill payer and the environment. Initial tests show that the system in Bath emits approximately half as much energy as heat than the previous AC powered system while running much faster. This results in a double energy saving – initially from energy efficiency rather than emitting heat, and secondly in avoiding the need to power the fans in machines or utilise air conditioning units. The new DC network also offers greater security. DC power supply units have a simpler design, with fewer parts that could fail and need replacing. The system at the University also charges a number of batteries when usage levels are low to allow the system to run independently from the grid for up to eight hours should a cut in power be experienced. In commercial settings where electricity is billed at a higher rate in the day than during the night, companies running a large computer network could also benefit from significant cost savings by converting AC power and charging the batteries at night, and running the network independent from the grid during the more expensive peak daytime hours. Not content with lowering power usage and reducing energy loss, the University hopes to extend the environmental credentials of the new network by installing mini wind-turbines or solar panels, both of which output a DC current and therefore don’t require inefficient conversion from AC to DC. The project is funded by the University's EPSRC Knowledge Transfer Account, matched by RWE npower. Benjamin Williamson, Knowledge Transfer Fellow for the project, said: “Installing the new system was not a small task, with fifty new DC adapted computers installed overnight to reduce disruption on campus, while the project team moved the one tonne AC converter through the University library and into the roof space, removing and rebuilding walls to transport it. Chris Harris, Head of Retail Regulation at RWE npower said: “Projects such as this are vital to the success of finding ways to manage our electricity. Decarbonisation will increase electricity consumption by 2030 and possibly more than double it by 2050. 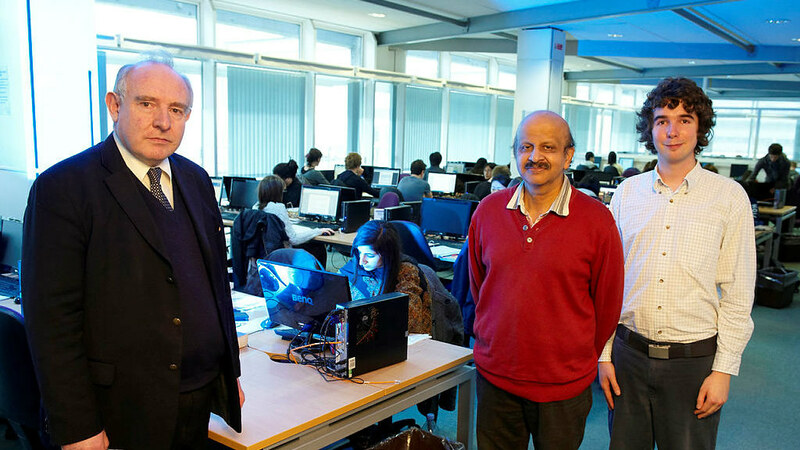 Miles Redfern, Department of Electronic & Electrical Engineering, said: “The University library has provided us with an invaluable test-bed to establish if DC supplies can offer advantages for our current electricity demands. The assessment of the new network starts this month with the use of specialised monitoring equipment. Results demonstrating the feasibility and potential energy, financial and environmental savings of such a DC network compared to AC networks are expected by summer.